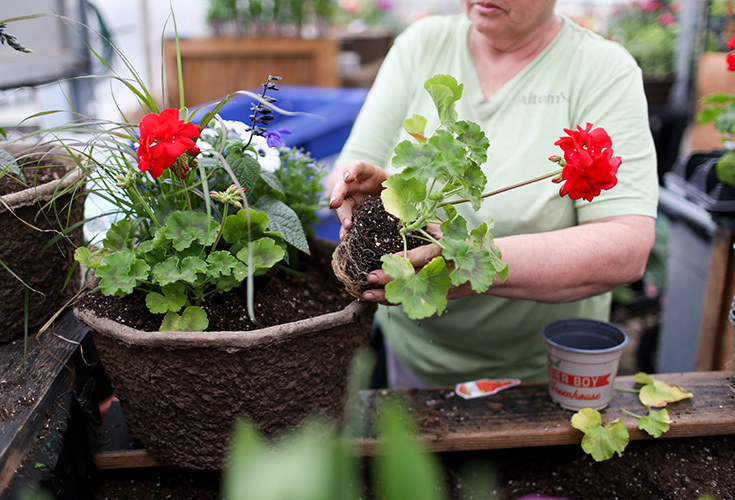 The Altum’s Potting Bar is a place where you can pot at your own pace, in your own space and we’ll clean up the mess. Everything you need is within reach, including soil by the scoop, flowers, grasses, mini shrubs, succulents, even veggies and herbs. Who is The Potting Bar for and how does it work? 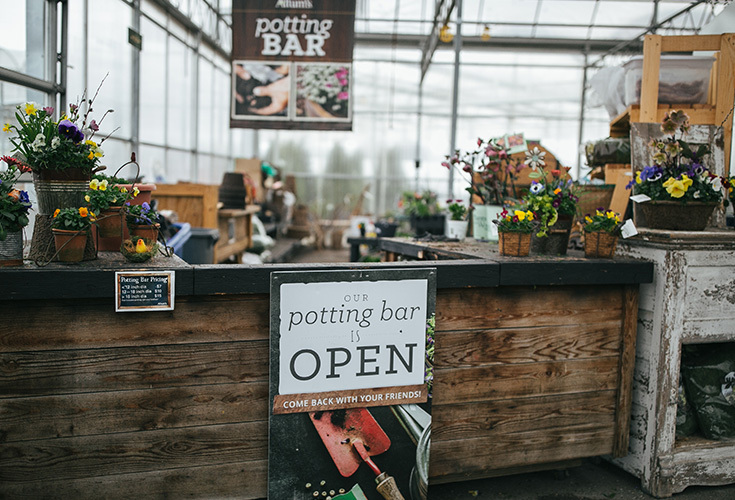 The Potting Bar is for you. Seriously, there is no pedigree and no performance anxiety. 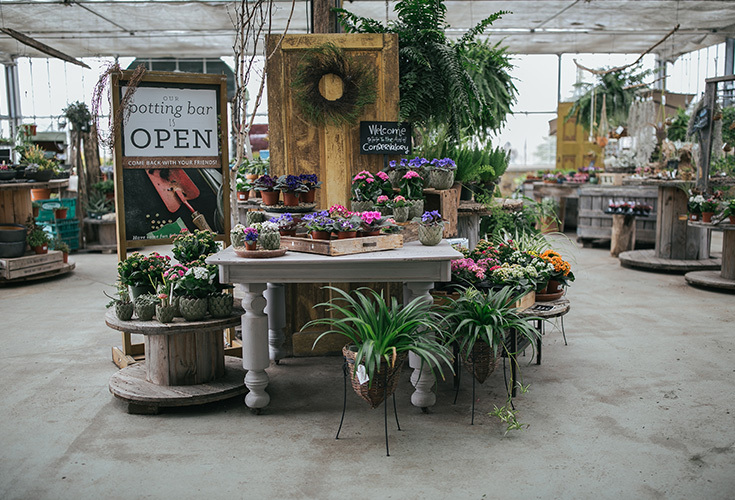 If Altum’s is open, The Potting Bar is open. 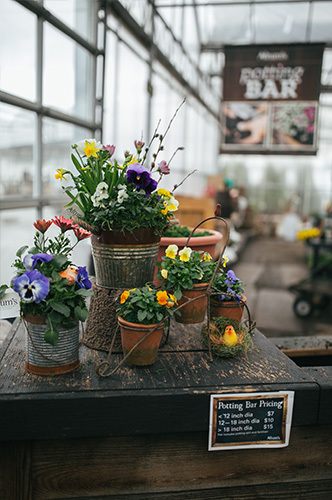 One note: Our popular Make & Take workshops are held at The Potting Bar most Saturday mornings and early afternoons in spring and fall. Join us for one! To learn more about the Make & Take schedule and sign up for something you like check here. For a little you-time zen, we’d recommend coming any other day or time. Just you and maybe a friend. Possibly a photo from Pinterest or Instagram, but really just your imagination. 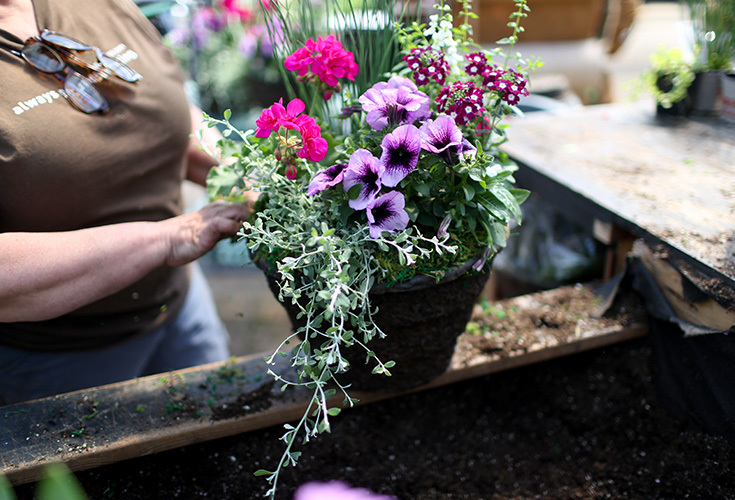 We’ll supply the tools, flowers and plants and you can choose from our handpicked selection of containers in all sizes and colors. Or you can bring yours from home.